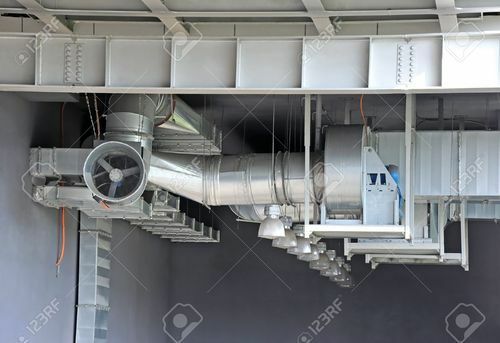 We supply Air Ventilation System that offers optimal solutions for different ventilation requirements for industrial & commercial establishments. Our extensive range of air washers is mainly used in assembly the line, production halls, M.C.C. panel rooms, compressor rooms, turbine halls, bottling halls and food processing. These systems are available in modular designs (panel type) and standard units. Established in the year 2006, GPT is one of the most reliable & trusted companies providing turnkey solutions under its four major divisions APD (Air pollution division), ACD (Air cooling division), CRD (Clean-room division) & PBD (Paint Booth division). Tirelessly serving the industry for the last 12 years, GPT is now a prominent name whose presence can be felt in different parts of the Globe esp: Africa, UAE, Saudi Arabia, Qatar, Kuwait, USA, UK & Sri-Lanka besides India. In the process of continuous updating & upgrading its technology, GPT has adopted highly advanced ''Transflow system'' technology from Singapore for handling very high air capacity of Dust. Also in order to protect its equipments from fire & explosion, GPT has partnered with renowned German company ''GRECON'' for supplying advanced fire extinguishing & anti-explosion system. GPT serves various industries such as Wood working, paper, cement, steel, power, distillery, breweries, food, rubber, chemical, pharmaceutical, automobiles, electronic, confectionary, cosmetic & many other. Customers always choose GPT because of its value it creates for them. Its customer's profitabilty is increased by energy conservation & optimal manufacturing performances. Customers highly regard GPT for its commitment to ensure zero-downtime. The symbol personifies high productivity of your production facility with a safer working environment. With the state of the art production facility with Amada make CNC machines, Auto index macines, CNC Turret punch presses, plasma cutting machine, GPT produces finest quality of Dust collectors, Air washers & Paint Booths. GPT is rapidly emerging as one spot solution provider for a majority of industries. Our systems & equipments are flexible enough to be customized as per the working specifications & according to the requirements of customers. GPT is serving famous brands viz. TATA, Coca Cola, Nestle, Federal Mogul,Union Paper Mills, Trelleborg, Hemas, Green Ply, Philips, Reckitt Benckiser,Holcim, Asian Paints, Obeikan Glass, Air India, Jet Airways, Indigo airlines who have been using our systems for many years now. We are proud to upload clients' feedback reports in our Testimonial section. Today more than 1000 customers are using our product globally and we thank all of them to make GPT a renowned brand to do business with happily.